What is the Difference Between an Average and an Outstanding Replacement Window Installation? This is a question many UK homeowners ask themselves, as they try to justify the high investment of replacing all the windows and doors in their home, and the short answer is, attention to detail. 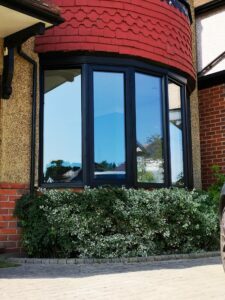 If we take a look at the core science of window and door replacement, it is a question of removing rectangular or square frames (usually timber) and replacing them with either uPVC or aluminium units that are double glazed. As no two buildings are identical, the ideal way to go about window and door replacement is for each unit to be fabricated to millimetre-accurate dimensions and with the customer’s choice of opening styles, colour and features, the new doors and windows would fit like a glove. Once the replacement window frame is securely fixed to the window opening, the double-glazed unit can then be fitted, sealed with neoprene and the interior making good can begin. Plaster and either wallpaper or paint will soon restore the inner reveal to its original state, then comes the interior window sill – which would typically be stained mahogany – and finished to a very high standard. Where the window frame meets the plaster, the installers would run a very thin line of high grade silicone, which cushions the very slight movement of the frame due to temperature changes. The finishing side of replacement windows requires attention to detail and this is one indicator of a quality installation, which is why our time-served installation teams pride themselves in their finishing, which is second to none. It isn’t just a question of how the windows are fitted, indeed your choice of styles, colours and features are many and with the help of our in-house design team, you will select something that will add character and style to the property. Composites offer a maintenance free alternative to traditional timber frames, yet seasoned wood is often the preferred material for a period property, and at The Window Centre, we understand the importance of aesthetics and strive to help our customers complement their home with the perfect double glazing. Stylish and elegant porches offer a cost-effective way to add some living space and aren’t as costly as you might think. 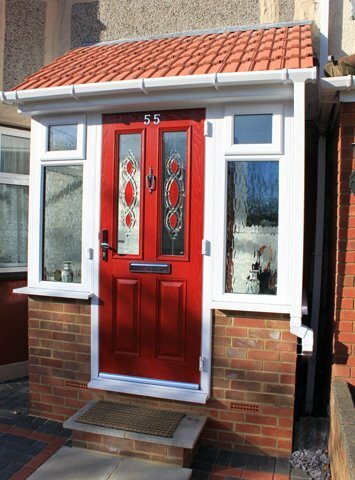 Aside from the way the units are fitted, one must also take a look at the actual window make-up, which would either be of uPVC or aluminium, while seasoned timber is also popular for rustic properties and the surfaces are guaranteed not to fade, crack or peel and can handle the harsh UK climate. The ideal spacing for a double-glazed window would be 16mm and with hermetical sealing, the argon gas-filled cavity provides an optimum heat loss barrier. If you would like us to sit down with you and discuss your window and door options, we’d be happy to send one of our experienced design consultants to your home, where you can explore the possibilities. If you’d like to see what we are capable of, our website contains some fine examples of previous projects and together we can design, fabricate and install the perfect double glazing solution that will stand the test of time. Call us on 0208 429 0383 or email to enquiries@eegh.co.uk and we’ll be in touch very soon. Discovering a new place or seeing something culturally interesting, rather than experiencing the same old scene, is what brightens up our weekends. So, if you’re one of these people who enjoys seeing something fresh on the eyes, here are some unique buildings and architectural anomalies that you may never have known existed in Harrow and Pinner. Reminiscent of an old 1800s factory building, this commanding structure is actually a local humble parish church at the centre of its community. Located on Corbins Lane, St Paul’s Parish church is built with brick but modified to an impressive grey, white industrial look. It’s extraordinarily tall and thin stain glass windows give it extra height. Built in 1933, Wealdstone Motors is still a car dealer but the building they run from certainly catches the eyes of passersby. This red brick striking structure is in the art deco style, with a clock tower at the top, and forms a parade of shops and flats. It’s square and symmetrical design, including the windows, really makes a statement and can be found on Pinner Road. The hill walk leading up to this wonderful little church is already filled with some lovely architecture including Harrow School and Vaughan Library. But as you head up the narrow paths to the Church, the first thing you’ll notice is its Spire that overlooks the entirety of Harrow on the Hill. Its jagged and uniquely designed spire isn’t like a usual stone spire you see atop of churches – in fact, it’s made up of 12 tons of lead. Don’t forget to go inside to view its beautiful stained glass windows and stone carvings too. In the peaceful and quiet area of Pinner, the High Street road really stands out as a charming little hamlet. With its old style Tudor buildings, it’s like stepping back in time to Shakespearean times (minus the Starbucks and the Sainsburys). The typical Tudor style black and white architecture with diagonal leaded windows commands the upper section of the street near the Parish church of Saint John the Baptist and makes for a picturesque photo opportunity too. At the Window Centre in Harrow and Pinner, we specialise in unique designs in windows, doors, porches and frameless skylights too. By creating personal and bespoke designs, from coloured and patterned glass to distinctive skylights, we can bring your home vision to life. Find out more about our range of designs and get in touch with our team today. With London being such a diverse and huge place, there is never a loss of attractions, activities or adventures to throw yourself into, even in pouring rain or chilly winds. But what if you’re in a London Borough, but further out and away from the hustle and bustle of zones one and two? As a company who operate in and around Harrow, we need to think outside the box to keep occupied when the sun isn’t shining. But don’t worry, we have some top picks for things to do on a rainy, chilly day. Get clued up on the local history of Harrow by visiting Headstone Manor & Museum. With four buildings to explore, including a 14th-century manor house, there’s lots to occupy yourself with here. Take a guided tour around, stop off at the Moat Cafe or wander around one of the guest exhibitions – inside the warmth and comfort of this attraction, there is plenty do. Arguably one of the prettiest areas in London, there’s no stopping you from a visiting or wandering around Harrow on the Hill even if it’s raining. Its picturesque streets, churches and the iconic Harrow School make it a fascinating place to explore and photograph. But if it’s protection from the chilly weather and rain you need, there are plenty of unique places to go too. Seek out St. Mary Church and their Spire Cafe. Or stop off at The Castle around the corner, an award-winning pub at the heart of the area. Or if an alcoholic beverage doesn’t take your fancy, try something cosier just down the road at The Doll’s House on the Hill. Whichever place you choose, take a window seat and watch the world go by with a hot drink, sandwich and a cake or two. Found in the area of Pinner near Hatch End station is the Harrow Arts Centre. Whether catching a theatre or music performance, a dance or spoken word event, or just simply popping in for lunch, the Arts Centre has it all. Take a stroll around the art exhibitions in The Gallery or even sign up to a class or workshop to learn something new – you can keep up to date with event listings here. Less than half an hour’s drive from Harrow you can discover a magical world in Watford. This is a must-do experience for any Harry Potter fans, but even sceptics will be mesmerised by how much there is to see. Featuring sets and props from the films, visitors can explore Hogwarts School, Diagon Alley, the Hogwarts Express and more, as well as taking part in a number of activities; a chance to try butterbeer, explore extensive gift shops and interact with magical creatures. All in all, an enchanting day out away from the wind and rain. Whether you like to head outdoors in the rain and cold or stay at home with a hot drink and a good book, make sure your home has the best windows and doors installed for the cold weather. As well as saving money on your energy bills, new double or triple glazed windows and doors will keep you toasty during the wetter, colder months. Based in Harrow and Pinner, at The Window Centre we provide these high-quality services – request a free quote from us today. If you’re a homeowner looking to boost the value of your property, extensions or renovations are probably the most guaranteed value adds. But, what if you’re on a budget? Even if you don’t have the funds for a total overhaul of your kitchen, you could add value to your home by making small changes. For instance, getting unique new tiles fitted or installing new worktop surfaces can refresh the look of your kitchen in an instant. Lots of storage space is a huge selling point in a home. Make use of any dead space and build shelves or cupboards. There may be valuable unused nooks and crannies so get inventive and create more space for people to stash their clutter. While this doesn’t sound like a budget idea, the return on investment on adding a conservatory to your home is significant. It introduces a lot of natural light into your home, which is always a selling point. You’ll want a conservatory which blends into your outdoor space to create a spacious feel, for example with the use of sliding doors. If you don’t have the space or funds to extend to a new bedroom, you could create one by adding a wall in an existing room. This can be much more cost-effective than getting a full-blown extension. Bifold doors create the feeling of space in an instant, and create a more seamless blend between the indoors and the outdoors. And we all know that space and natural light sells! Do you have an outdoor space that isn’t currently getting much use? Think about how you could make it more appealing. You could set up a balcony garden, or create a seating area. It doesn’t cost much, and potential buyers will then be able to envision how the space will be used. Like conservatories, a well designed shed could add more value to your home’s property than the cost to build it. And sheds aren’t just great for storing your clutter. An insulated shed can be used as an extra bedroom, living room, or even a home office. At The Window Centre, our team is always on hand to offer advice on home improvements. To book a consultation or ask a question, get in touch today.. Typically, well maintained and good quality windows should last for up to 20 years. However, like most things in your home, windows can eventually become less efficient and will need to be replaced. They may be letting cold air in, leaking moisture into your home or simply not doing their job anymore due to general wear and tear. Good quality windows will help keep your home both warm and quiet while also reducing your energy bills. The type of windows that you have in your home can massively affect how long they last. While uPVC windows are known for their durability and strength, wooden windows are known to warp, expand and contract over time. The last thing you want in your home is condensation or draughts due to faulty windows, particularly in the colder months. Without realising, your energy bills may be far higher from struggling to heat up a draughty home. Below we take a look at the five most common signs that it is time to upgrade your windows. A very common reason a draught may be coming in through windows is damaged or broken hinges which can be down to general wear and tear. Rust and dirt can form and get into hinges which will stop them from opening and closing normally. 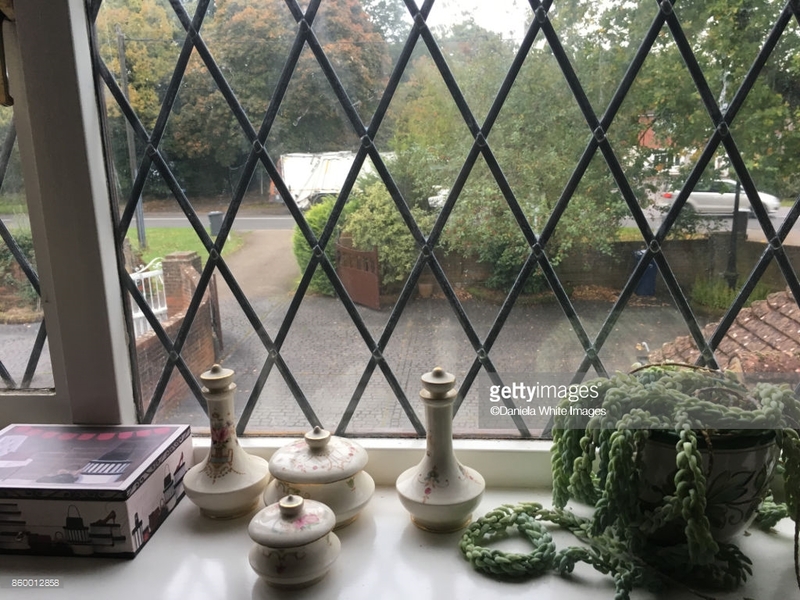 Because of this, hinges can go out of alignment and stop the sash (the opening section of the window) from shutting against the seal properly, leaving small gaps for air to escape from. This issue can be fixed by replacing the hinges of your windows. You may be experiencing draughty windows because the seal of your window pane has broken. When the seal breaks, the argon gas between the glass of your window escapes meaning that your window is no longer acting as an insulator. Seals can be broken by various things: age, extreme weather, movement (they may have broken during transportation) or mould. Old windows or window styles. Sometimes, old windows simply stop doing their job. A lot of old windows have a single pane, making them far less effective than double or triple glazed windows. With a single pane window, there is only one piece of glass between your home and outside. If your windows are old or only have a single pane, upgrading your windows should stop the draught. Similarly, if you notice sounds from outside coming into your home through your windows then it is time for an upgrade. Windows do not only act as barriers against cold air, but against outside sounds such as traffic, roadworks and people too. Noises invade your home exactly the same way as cold air does: through cracks, holes and general damage. to some new energy efficient ones. Living in the UK, your windows are likely to endure a lot of rain and cold weather and consequently, they are susceptible to wear and tear. If you notice that your windows are leaking then it is time for an urgent upgrade. Leaky windows can easily lead to bigger problems, causing damage to your home. Water and moisture from leaky windows can cause mould and damp on walls and around the window which can result in unpleasant smells, various health issues and unattractive patches of black, brown or green on your walls. Similarly, damp and mould can be caused by cracked, rotting and decaying windows. When windows are cracked they let moisture, water and cold air in which can then cause damage to other areas of your home. If you notice any leaks or cracks, it is certainly time to get some new windows installed. Warping can be a big problem, typically occurring in wooden-framed windows that are getting old. Warped windows occur when the wooden frames are exposed to a lot of water. This water absorbs into the wood, causing it to swell up, resulting in a warping effect that can let cold air in and completely reduce your home’s energy efficiency. Warped windows can also be a result of extreme changes in temperature which can cause the wood in your windows to expand and contract. In the UK, 2018 saw both snow and hot temperatures over the course of just a few months. These extreme changes in weather can have a damaging effect on our windows. Intense changes in temperature can cause windows to warp, fade, crack and chip. If you notice that your windows are warping, it is time for some new windows. When you upgrade, choose other materials (such as vinyl, aluminium or fiberglass) instead of wood for your windows. Double glazing should reduce the amount of condensation in your home, so if you are noticing condensation around your windows then it may be time for a replacement. Condensation happens when water vapour comes into contact with a cold surface (the glass of a window, for example). This water vapour is a product of lots of different things: washing up, cooking, doing laundry, and even just breathing. Condensation can cause damage to your home’s wallpapers, curtains, window fittings and paintwork so you want to make sure that you have high quality windows to prevent this damage. If you are noticing condensation on the inside of your window pane then this is a sign that the glass in your window is at a temperature that is too low for the amount of water vapour in the room. Double glazing acts as an insulator, causing the surface temperature of the window glass in the room to be a higher temperature than it would be with single glazing and therefore reducing condensation. If you notice condensation inside the cavity of your window then this is an indication that there is an issue with the seal. In a watertight and airtight sealed unit, there should never be condensation in between the two window panes. Condensation in this part of your window is a sign that moisture has got into the tight air space or that moisture is leaking into the window cavity from the room. Here at The Window Centre we know how important it is to have high quality, energy efficient windows in your home. 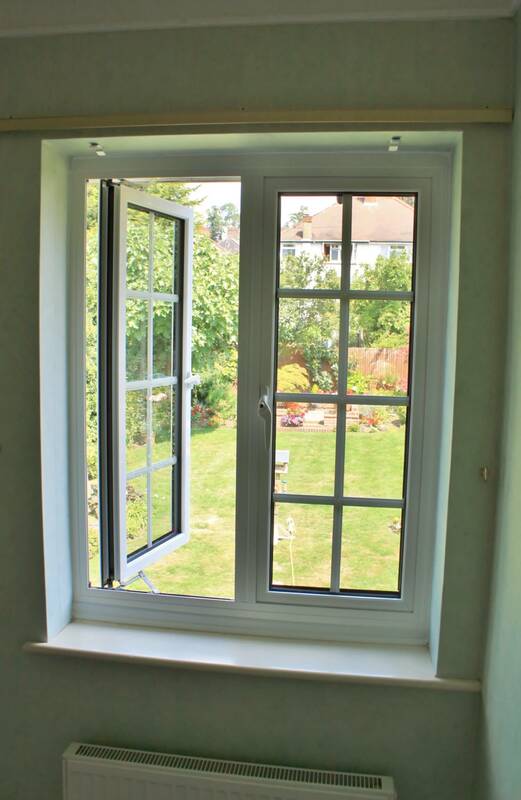 We have been Harrow and Pinner’s local double glazing installers since 1993, providing a reliable and excellent service to ensure that you never feel a draught. Our friendly and specialist team of experts have carried out over 16,000 installations to date, with each product we install having been tested and researched thoroughly to make sure that it meets the highest standards. Our friendly family owned company fit uPVC and aluminium windows and are always happy to help and guide you in the process of choosing the perfect oriel, bay, casement or sliding windows for your property. If you have noticed any of the above signs, then it is time for a replacement. To find out more, visit our showroom in Harrow or simply contact us today. Many more people are customizing their homes with high specification aluminium windows. Popular colours are black, anthracite grey and golden brown. Made and installed to last and keep homes warm and secure. 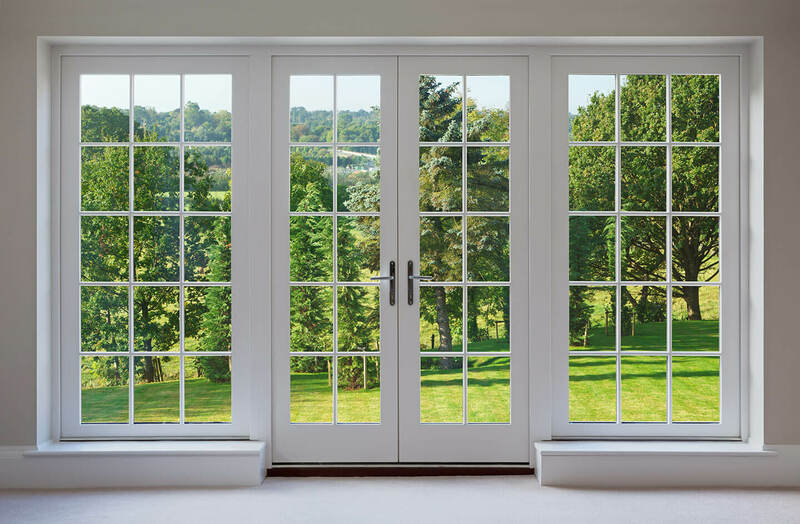 Why Install French Doors in Your Home?